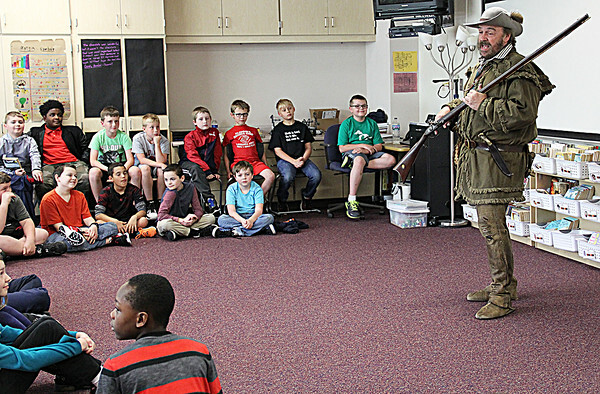 O PIONEER: Fourth-graders at Perry Worth Elementary School listen as Hoosier pioneer Andrew Amonett talks to them about what life was like 200 years ago on the Indiana frontier. Amonett, played by Kevin Stonerock, talked to the class about clothing, weapons, Indian affairs and trapping Thursday afternoon. He brought his seven-pound Kentucky long rifle, along with a tomahawk, to show the students.